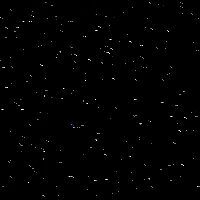 This group has undergone many shifts in personal, a name change (and a return to it’s original name) has a wide variety of influences and owns its owns its own audience. 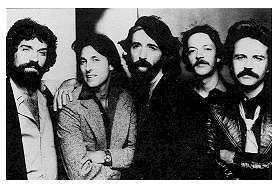 But the Nitty Gritty Dirt Band has been devoted to country and traditional music, and one project of theirs, if not their records assured them a place in the history of country music. 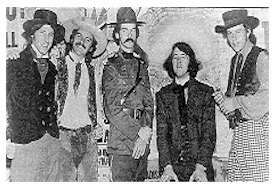 It was also in that year that Aspen Recording Society (their corporation eminence) mounted on of the most ambitious projects in country music, historically more important than even universities or institutions have yet attempted. 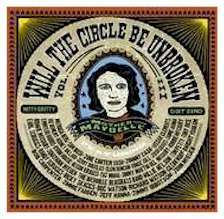 Will The Circle Be Unbroken was a three record concept album with the Band and some of the most significant names in country music Maybelle Carter, Roy Acuff, Earl Scruggs, Merle Travis,Jim my Martin and others. Besides persevering classic performances of classic material, the recordings captured out-takes, conversations and laughter in relaxed moments. During the 1980s the Dirt Band (as they briefly renamed themselves) concentrated on more country than folk, albeit mainstream country rather than the bluegrass and traditional modes honored in their Will The Circle Be Unbroken. NASHVILLE, Tennessee (Reuters) - Out of a small cabin hideaway near country music icon Johnny Cash's huge lakeside estate, vacant since he and his wife died last year, has come a rare album by big-name singers and musicians produced by Cash's son, John Carter Cash. 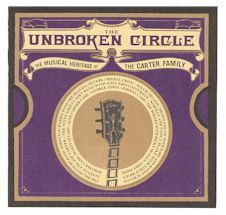 Lavishly adorned with backwoods, Appalachian-rooted songs delivered in various styles, "The Unbroken Circle -- the Musical Heritage of the Carter Family," pays tribute to the original Carter family trio that disbanded in 1941. The trio's legacy -- including the first commercially successful country recordings that were hits in the 1920s -- has been renewed on the new album that features current artists' renditions of their classics. Johnny Cash's marriage in 1968 to June Carter -- whose mother Maybelle was in the original trio with A.P. and Sarah Carter -- united extraordinary family talents that are apparent in this tribute album, released on August 24 on the Dualtone label. Tracks include Emmylou Harris and the Peasall Sisters with "On the Sea of Galilee," George Jones with "Worried Man Blues," Sheryl Crow with "No Depression in Heaven" and Rosanne Cash with "The Winding Stream" and others. Johnny Cash appears on the 15-track album singing "Engine One-Forty-Three," and June Carter Cash with "Hold Fast to the Right." At age 33, soft-spoken John Carter Cash, now taller than his famous father but bearing no facial resemblance, works almost daily at the Cash Studio Cabin. 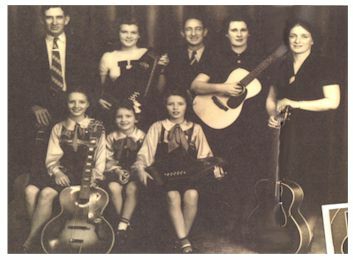 The younger Cash plunged into learning the art of making music while his father was still alive and using the cabin for many of his recordings. The studio became even more important after Johnny Cash was dropped in 1986 by CBS Records at age 54 because of declining sales, despite a 28-year career making dozens of hits and touring world wide and becoming a household name. Cash responded to the snub by Nashville's music businessmen by linking up with Los Angeles producer Rick Rubin, a well-known producer of rap, rock and heavy metal bands. The result was a string of awards for Cash including Grammys in 1994 and 1997. John Carter Cash shows off an updated control room and echo chamber where many of the musicians recorded their contributions to "The Unbroken Circle" after braving the rocky, rutted road leading to the otherwise simple wood cabin that houses the studio. Like his father, he believes in artistic license, allowing the musicians to "give it their own interpretation," he said, as an antidote for producers who use a heavy, controlling hand. "My parents taught me some great lessons," he says. "I also learned that you have to continue to develop and move forward even though it isn't always easy." Still wounded by the deaths of his parents within months of each other in 2003, John Carter is bearing the responsibility of helping to arrange an auction of their estate. Around 780 lots of Cash memorabilia worth thousands of dollars will be offered by Sotheby's in New York from September 14 to 16, including awards, guitars, gold records and stage clothing. "My parents decided on this auction to avoid the problems that the deaths of other celebrities had caused among their heirs," he says. "We haven't put up everything for sale. This represents only a third of the estate but we need the proceeds to pay the estate tax. And there is really an over-abundance of possessions." His father bought the large stone and wood beam home on a 170 acre (69 hectares) spread in a Nashville suburb in 1967. It is also for sale. "Before they died, my parents gave to each of us children special items that had been meaningful to us individually," John Carter says of gifts to his parents' offspring from previous marriages. Still, selecting the items to be auctioned wasn't easy. Included are seven of his father's thirteen Grammys, his 1996 Kennedy Centre Lifetime Achievement Award, a 1981 Rolls Royce Silver Spur automobile, handwritten lyrics and letters, photos, concert posters and original Carter family memorabilia. Leafing through the lavish Sotheby's catalogue, John Carter pauses at a photo of custom-made, knee-high alligator boots Johnny Cash wore during his CBS television shows. "His favourite boots," he muses. "I remember watching as he used to scuff the soles with a pocketknife so he wouldn't slip on stage." There's also a cherished note that tells of Johnny passing valuable recording skills to John while working together: a 1999 letter to producer Rubin suggesting another recording session at the cabin, noting that he and his son had produced a "fine gospel album."